Make sure your pool is ready for family fun! The Jayson Company can help with any in-ground concrete pool or spa problem you may have. 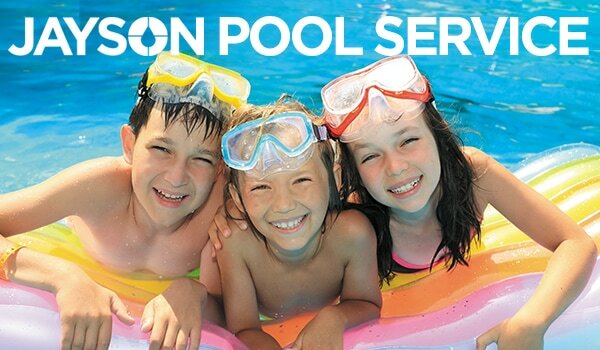 ​The Jayson Company offers complete in-ground concrete pool and spa maintenance, repair and renovation, plus pool service programs and products, including pool chemicals. 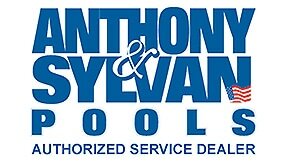 Authorized – The only authorized Anthony & Sylvan® service in Central and Northern New Jersey. Quality – Consistently safe and effective Anthony & Sylvan quality chemicals and other top brand name pool products. Competitive Pricing – We work hard to keep prices low while providing FREE technical support and FREE delivery of pool products for our customers. Fully Insured – We have you covered. Year-Round Staffing – Service at any time with priority scheduling for full service customers — ask for details. Convenience – Free door-to-door delivery of chemicals saves you gas, time and mess. Family Owned and Operated – Since 1936 — over 75 years of local service. Proper Winterization Services are necessary to preserve and maintain all pool systems during the winter months. The Jayson Company is the only Anthony & Sylvan Authorized Service Dealer in Northern and Central New Jersey. We are the ONLY service company . . . The Jayson Company is the ONLY pool service in Central and Northern New Jersey authorized by Anthony & Sylvan Pools. We have offered a wide range of home services for four generations – always with a reputation for outstanding quality and customer satisfaction. ​We know your Anthony & Sylvan pool better than anyone and provide unmatched quality, experience and customer satisfaction. Call now to schedule your service and enjoy The Jayson Company difference. For your safety and peace of mind, be sure to use only licensed and reputable pool service operators. The Jayson Company is fully qualified. Jayson winterized my pool. They also included installation of the solid cover, and winterizing chemicals. I have used the Jayson Company for over ten years, and will continue to do so. I trust them, and they have always been respectful of my pool and property. I use them for openings, closings, and for when problems come up that I need assistance with. I’ve been using Jayson for all my pool needs, opens, closings, weekly service, and repairs for many years. They are the most reliable, competent pool company out there. Since I perform the regular and weekly maintenance myself, I have had to call the office occasionally, and they have always been helpful. I have to especially mention Bob. Thank-you, Bob, for all your help!